Call Centre Suite can improve the performance & efficiency of call Centre by six times or more. Parth UCS is small box but rich in features & stable hardware. it can make the Call Centre Technology available in budget. These days, customers are more service oriented and relies only on the brands that offers extreme support. This trend has gave more freedom to customers to select the best suited brand as per requirement. In this way, it has enhanced the demand of better customer service from the brands. Omnichannel communication system helps businesses to attain such level of perfect customer service process even during peak hours. It is the best way to deliver a customized customer experience while using multichannel platform. Omnichannel communication system links customer’s personal information to their contact history and thus it supports seamless communication through all the channels. This is how it generates a positive environment between call Centre and the customers. Parth UCS can be used for inbound as well as outbound call Centre use also has inbuilt SIP trunk connectivity for international & domestic trunk connectivity. Further multiple trunk connectivity option is there through CTI card or gateway. PARTH UCS is equipped with all call centric traits. It boosts up the efficiency level of a call Centre up to six times with its efficient features that are inbuilt in a ready to install box. Cost irrespective: The small appliance is economical with all the default features for the call Centre industry. Multiple trunk connectivity: Parth UCS can be used for both inbound and outbound processes as it is capable of multiple trunk setup like inbuilt SIP trunk connectivity for international/domestic trunk connectivity and multiple through CTI hardware. User Friendly Agent/Admin Interface: The interface of both agent and admin is user friendly and eye catchy with all the functionalities. Let’s the user to go into depth with an ease of fetching each and every related detailed information. Parth UCS record all inbound and outbound calls in built-in hard disk for further listening to any call recordings at any time to ensure compliance with quality standards. 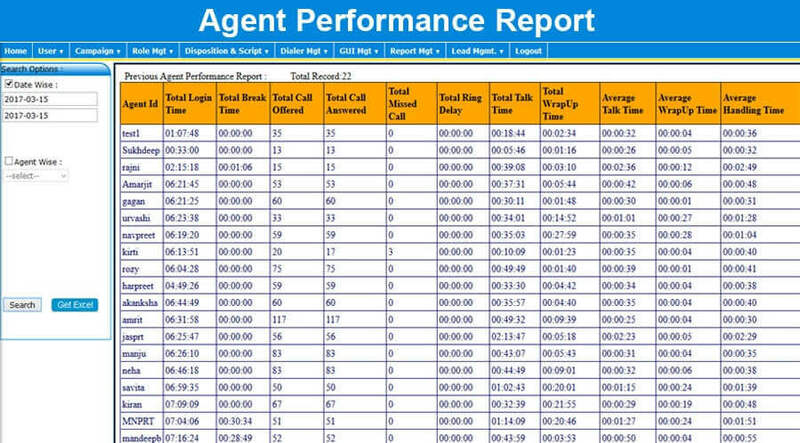 After completion of each call add call summary notes and disposition codes to your call log and integrated CRM to ensure that relevant customer information is retained. Parth UCS offer three level customizable Disposition. Parth UCS can distribute your call as per your choice, you can use multiple campaign & department as per requirement. ACD department can be selected in IVR message. Aria Parth UCS has multiple options to use for call distribution like ACD, UCD, Skill based routing etc. Parth UCS has flexibility to connect calls to mobile phones, SIP phones or landline to enable your team to remain connected, even when working remotely. Parth UCS display customer interaction history on executive screen, including previous calls, remarks etc..
SMS/Email can be integrated through API with Parth UCS to maximize the use of communicators time by connecting the providers to the customers at a quick pace. Drop in on live calls to speak with both the caller and agent to reduce call transfers and increase customer satisfaction. 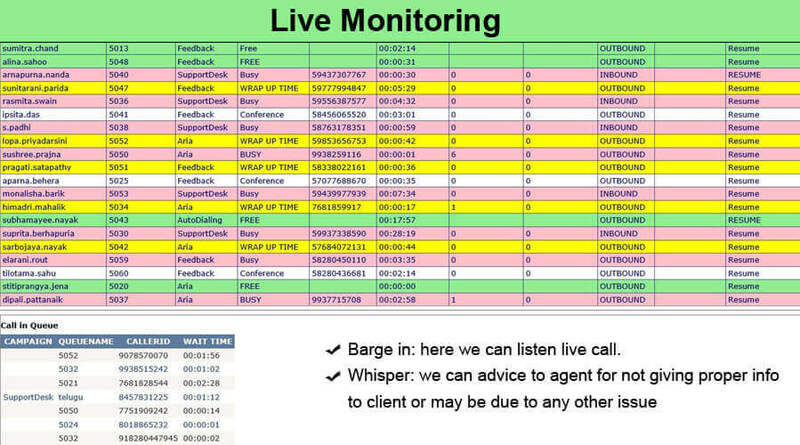 Application: Wherever you talk about communication or call Centre, ARIA stands along with the solution you require. With the product that would give you an effective and relevant output. PARTH_UCS gives the organization all the benefits that will help out in growth, keeping in mind all the aspects related to the communication process. Client Satisfaction: ARIA believes in client satisfaction with the product being given. We are here to serve our clients to the best of our team efforts. Parth 10C is a complete call Centre solution for a 10 seated call Centre with all the functionalities of the admin and the agent panel. It is small appliances with a stable hardware and inbuilt IP PBX functionality. PARTH UCS can be used both for inbound and outbound call Centres. Parth 15C is a complete call Centre solution for a 15 seated call Centre with all the functionalities of the admin and the agent panel. It is small appliances with a stable hardware and inbuilt IP PBX functionality. PARTH UCS an be used both for inbound and outbound call Centres. Parth 20C is a complete call Centre solution for a 20 seated call Centre with all the functionalities of the admin and the agent panel. It is small appliances with a stable hardware and inbuilt IP PBX functionality. PARTH UCS an be used both for inbound and outbound call Centres. Parth 25C is a complete call Centre solution for a 25 seated call Centre with all the functionalities of the admin and the agent panel. It is small appliances with a stable hardware and inbuilt IP PBX functionality. PARTH UCS an be used both for inbound and outbound call Centres. Parth 30C is a complete call Centre solution for a 30 seated call Centre with all the functionalities of the admin and the agent panel. It is small appliances with a stable hardware and inbuilt IP PBX functionality. PARTH UCS an be used both for inbound and outbound call Centres. Parth 40C is a complete call Centre solution for a 40 seated call Centre with all the functionalities of the admin and the agent panel. It is small appliances with a stable hardware and inbuilt IP PBX functionality. PARTH UCS an be used both for inbound and outbound call Centres. Parth 50C is a complete call Centre solution for a 50 seated call Centre with all the functionalities of the admin and the agent panel. It is small appliances with a stable hardware and inbuilt IP PBX functionality. PARTH UCS an be used both for inbound and outbound call Centres. Parth 60C is a complete call Centre solution for a 60 seated call Centre with all the functionalities of the admin and the agent panel. It is small appliances with a stable hardware and inbuilt IP PBX functionality. PARTH UCS an be used both for inbound and outbound call Centres. Q:1 - What kind of server I need ? Aria PARTH UCS is embedded solution, there is no requirement of server. It is plug & play device. Q:2 - Is there any minimum internet speed to be able to use Dialer? For domestic process, you do not need internet to run the process, You just need normal internet broadband for technical support. If it is international process & you calling through VOIP minutes, then you need internet leased line with static IP. Q:3 - How long does setup take to install? Being a standalone device it does not required a complex configuration. It is just plug & play device. Q:4 - Will my agents have to undergo a specific training to be able to use Parth UCSSolution? Aria Parth UCS offers a very simplistic User Interface, which is familiar with traditional dialers. Any person with usual computer knowledge can easily work on it. Depending on the CRM that you integrate it with, there might be some need of basic training. Q:5 - Can Parth UCS be customized to meet specifications of my business? Parth UCS solutions offer a number of customization options to setup the agent accounts, route the calls, IVR messages, etc. that can be used to meet the various business specific needs. Q:6 - Is dialing speed controllable? ParthUCS has option to chance pace of dialing as per your requirement, but you should have sufficient trunk channels to meet the pace. Q:7 - there any limit with the number of campaigns that I can run? There is no certain limit on the number of campaigns that you can run at a time with our PARTH UCS. Further you can assign multiple ACD group under the campaign. Q:8 - Can I have IVR in this with multiple language & department? Yes, you can have IVR call flow with language Option & multiple department option. Q:9 - Can I run multiple IVR on different number? Q:10 - Is my data secured? As the data is in your premises only, So your data will be 100% secure. Q:11 - Can I hide number in UI? Yes, you can hide partial number to secure your data in Agent/ Supervisor UI. Q:12 - Can I have Customer detail on my agent computer screen? 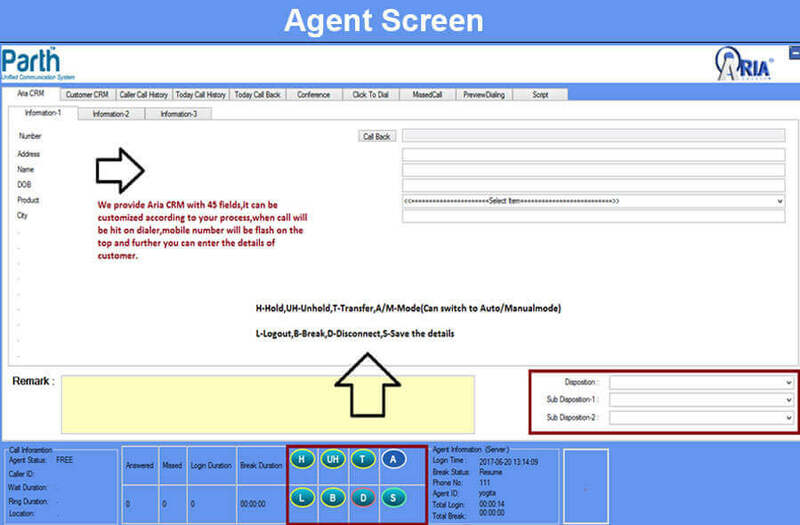 Parth UCS has 45 field customizableCRM, Agent can see previously saved agent detail his call history etc. Q:13 - Can I have run call Centre without agent computer? Parth UCS has agent option with or without GUI , So you can run call Centre without have computer at each agent desk. 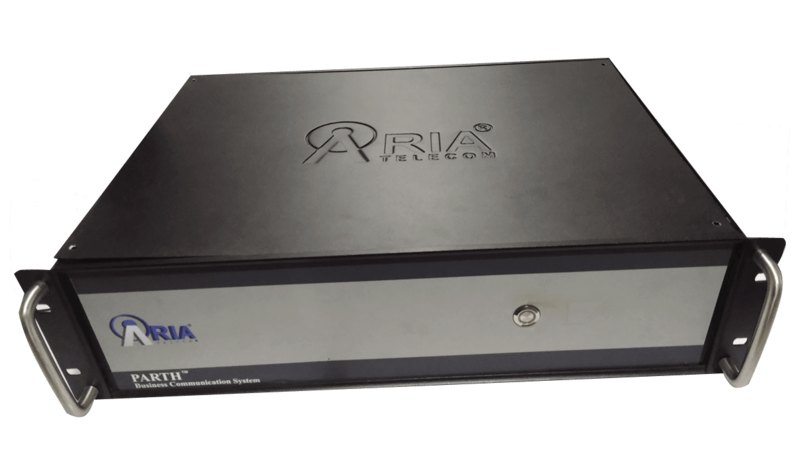 In that case, you need to buy Aria AR50P IP Phone for all agents. Q:14 - Can My agent be on move with mobile phone or land line? Aria PARTH UCS has option to login agent from outside the office through mobile phone or land line. Q:15 - I am using EPABX with ISDN PRI, so can my agent continue using the EPABX extensions with PARTH? PARTH UCS can work with your existing EPABX seamlessly irrespective of the type of process (Inbound or outbound). You do not need to waste your investment. Q:16 - Is it possible to Integrate PARTH with CRM? PARTH UCS has option to call web services to open third party we based CRM for pop-up & API for click to dial from third party CRM. Further Integration is also possible. Q:17 - Is it possible to integrate SMS & Email? Parth has option to integrate SMS & Email API to send alerts on various dispositions. Q:18 - What type of telephone lines I can connect with Parth? Parth UCS has inbuilt VOIP/ SIP connectivity & also has option to insert ISDN PRI card. Further Analog trunk & GSM can be connected through gateways.